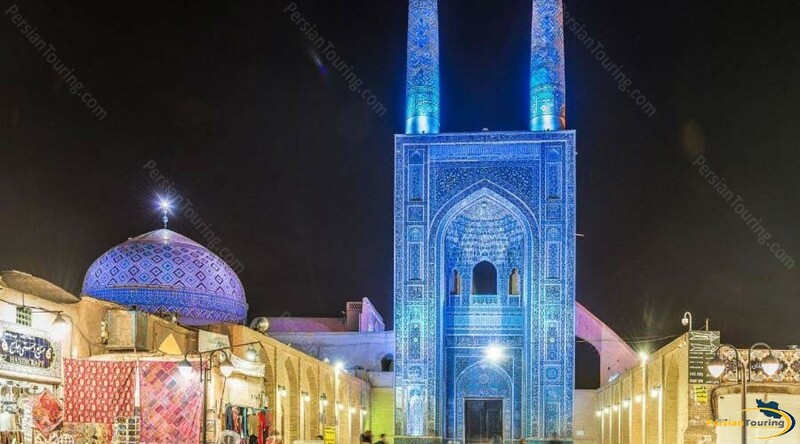 Great Jame Mosque of Yazd is one of the historical and architectural masterpieces of the world. 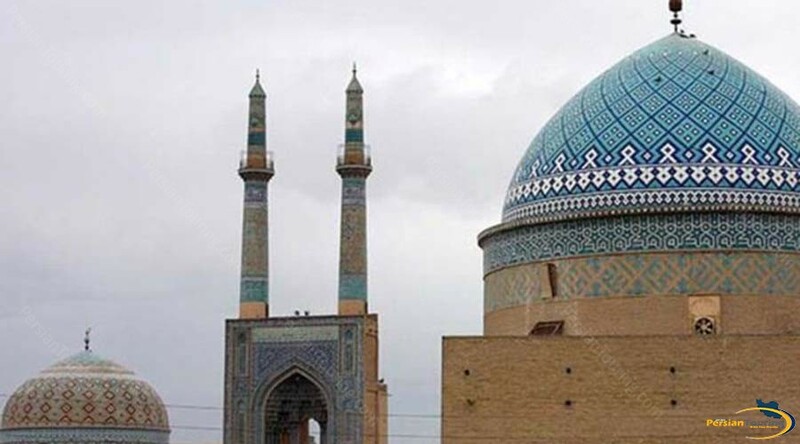 It can be claimed that this mosque has the world’s highest minarets. 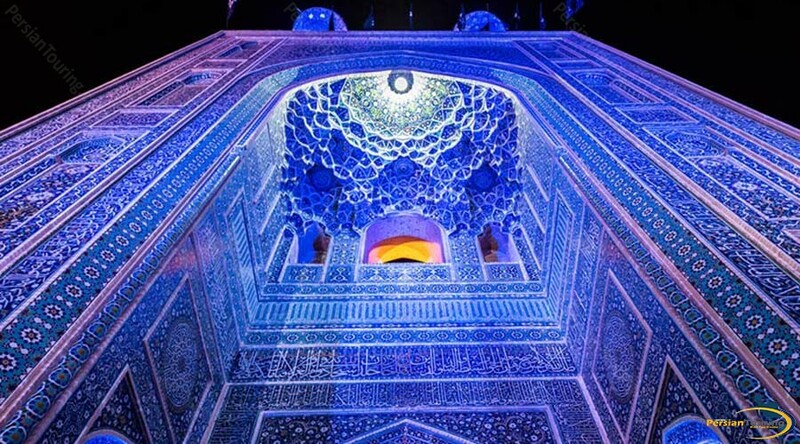 The building of this landmark mosque has been attracting attention since very long time ago. 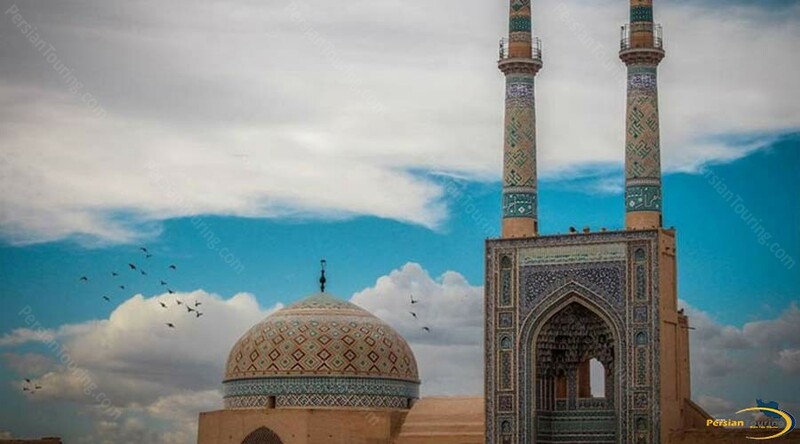 Based on historical books of Yazd, “the mosque was constructed in the place of Sassanid fire temple (Atashgah), and it was built by Alaoddoleh Garshasp.” This mosque is one of the most beautiful mosques of Timurid dynasty, which is a shining example of the architecture of 9th century AH in terms of Rafi’ Gate tilework, minarets, and its inscription. 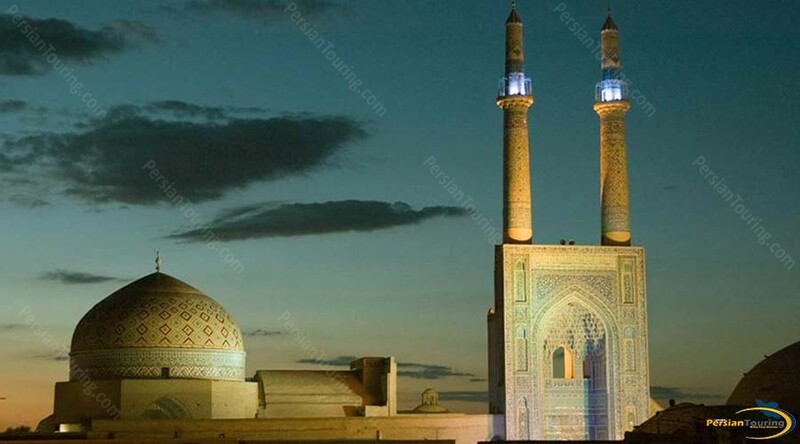 Although the main construction of the mosque is attributed to pre-Timurid period, its present construction, based on the inscriptions, indicates that it was built in Timurid period. 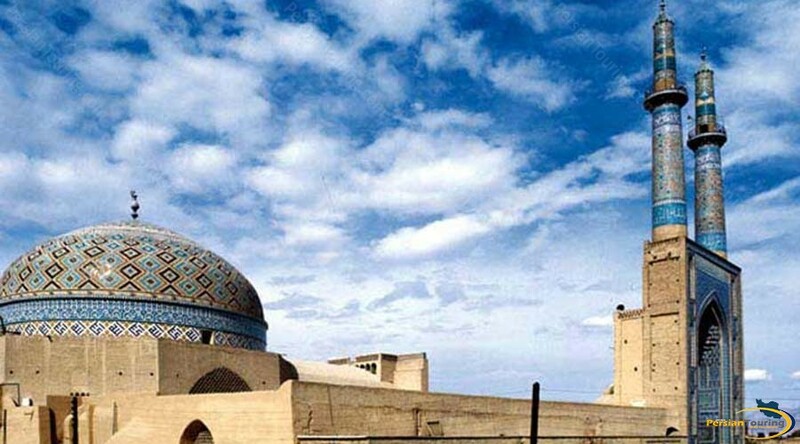 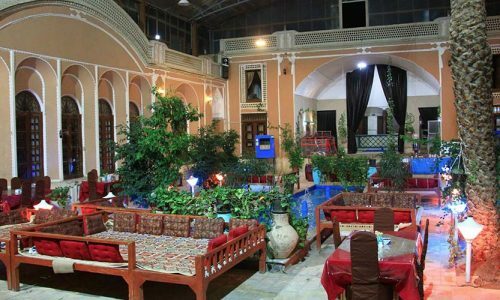 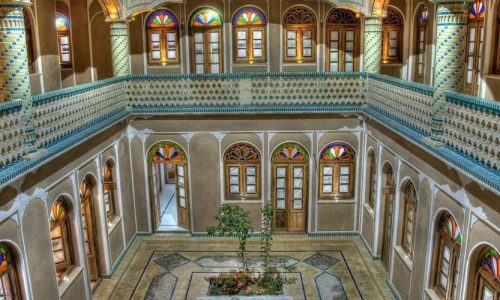 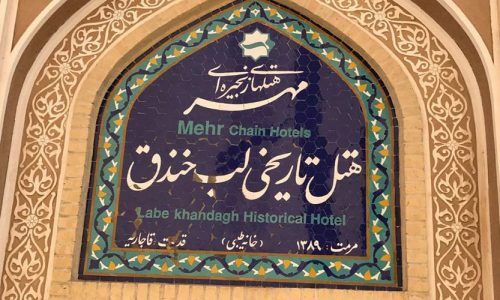 Jame Mosque of Yazd was registered in Iran’s National Heritage in 1934 under the registration number of 206.